Impleo is fully responsive and perfectly fits on any device. Impleo has been built with the latest submission requirements based on the WordPres Codex, everything is working as intended. In our Impleo theme, we have added parallax sections that will make your content look better, more modern and richer. Impleo enables you to add background image to your sections, without even having to write a single line of code. Impleo provides an easy team management. Add as many team members as you need and connect them with their social media profiles. We consider support as important as our theme development. If you need help, get all of your questions answered quickly with exclusive access to our dedicated support forum. We are delivering support from Monday to Saturday. Impleo contains 519 retina ready icons. Impleo comes loaded with Boostrap Shortcodes. You can make your desired look in a matter of minutes. 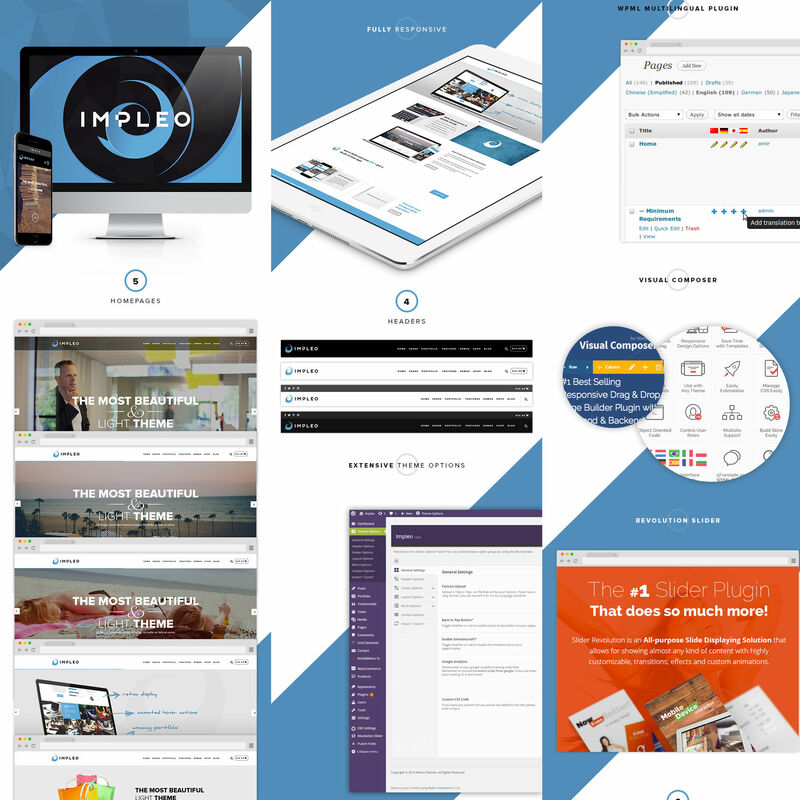 Impleo can be a One-Page or Multi-Page – it’s up to you. Present your work to the crowd with our amazing portfolio options. And share those products easily. 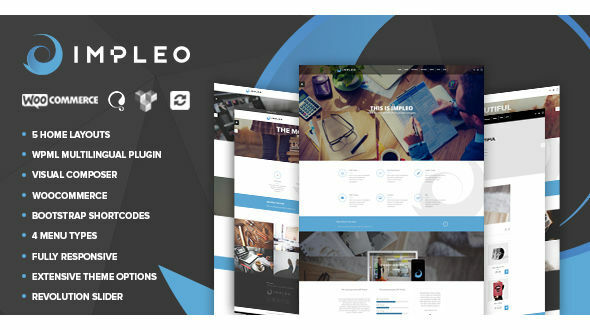 Impleo includes a $15 value slider that is comong for free when you purchase the theme, add unlimited slides and create stunning animations to get your customers attention when they enter your brand new brooklyn powered website! Impleo is fully translation ready. We recommend to use WPML, the most popular and professional translation plugin on the market. Impleo will be getting updates and so will you..!